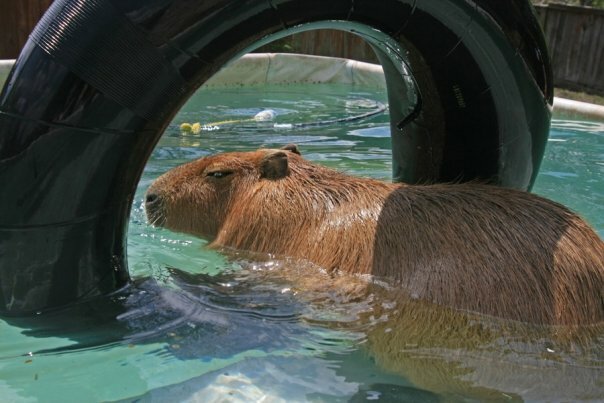 It is an especially hard year for me. 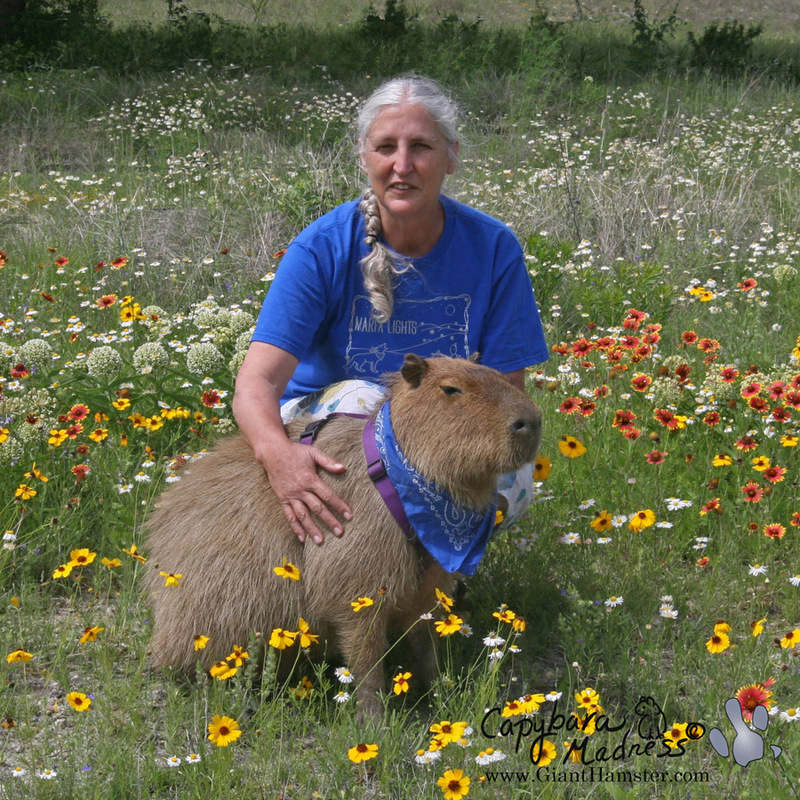 When I became disabled due to a massive brain hemorrhage in October, the one thing that sustained me was that I would be able to spend more time with Gari. After a month in the hospital, I came home. Garibaldi spent the first two days constantly at my side, though all I did was sleep. He lay beside me the whole time, asking to be scratched but settling for a gentle hand on his side. I cannot tell you how much that helped. 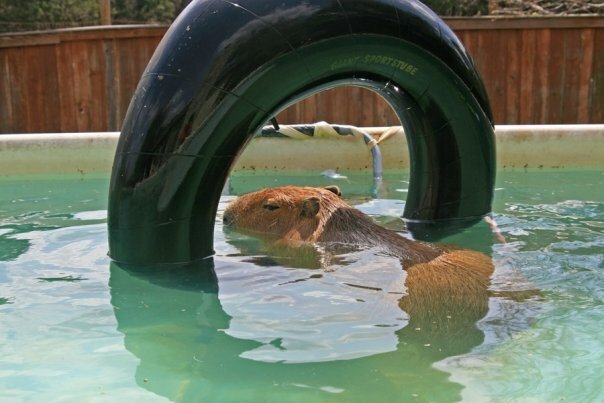 Because my vision was (and is) so bad, it meant the world to me to feel his coarse fur and quiet breathing. 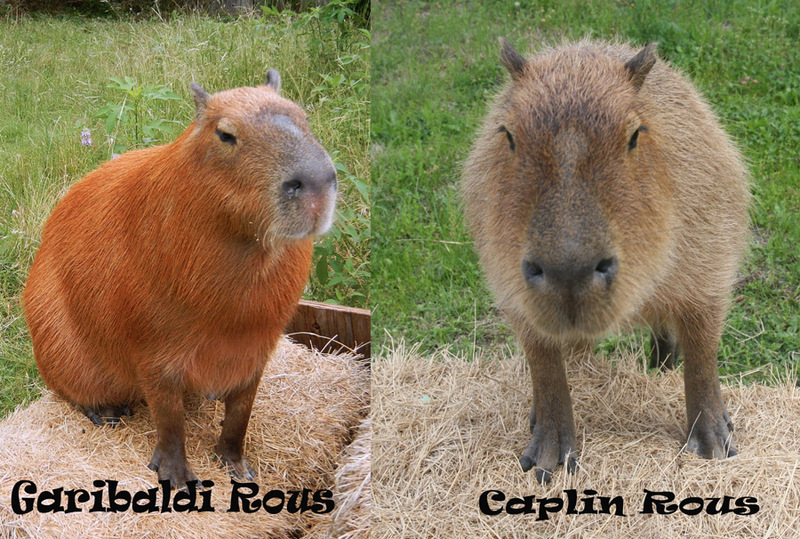 Of course, I will always remember Caplin Rous, who was my first love. He captured my heart when he was just a baby and held it tight. 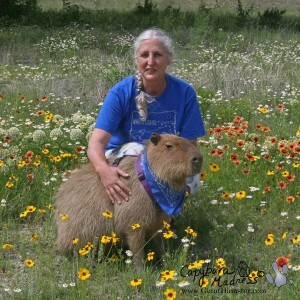 He also seems to have convinced the internet that capybaras wear bandanas. I think that is only fair. 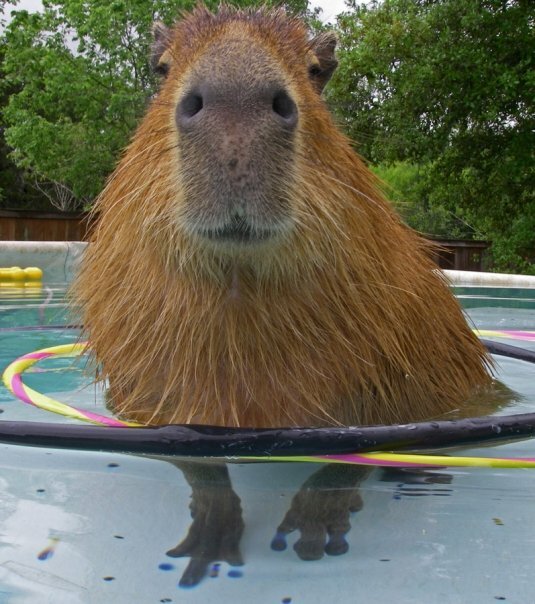 Gari, on the other hand, tried his best to convince the world that capybaras are the clowns of the rodent world. What they both taught me is that capybaras are individuals. 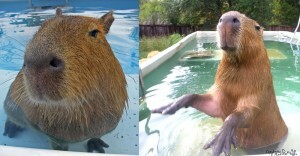 They each have a unique and wonderful personality. I’m not sure Gari’s would have been conducive to survival in the wild though. Maybe the jaguars would be too stunned to attack? This year, to celebrate Caplin Day, you can eat a popsicle or yogurt in Caplin’s memory. 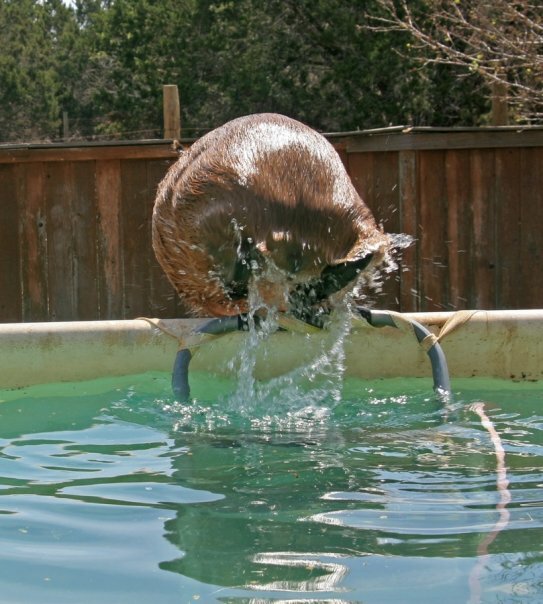 Or you can roll around in the pool like Garibaldi. 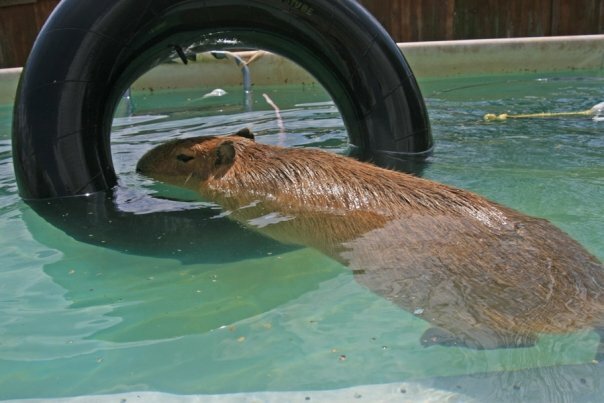 Or you can make a small donation to the ROUS Foundation for Capybara Veterinary Medicine so that we can continue our work to understand what it takes to ensure that captive capybaras lead long, happy lives. 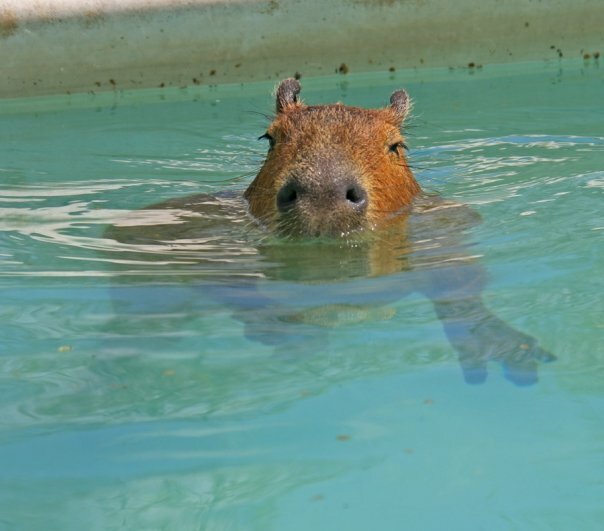 I, along with many others, will be celebrating Capybara Appreciation Day. 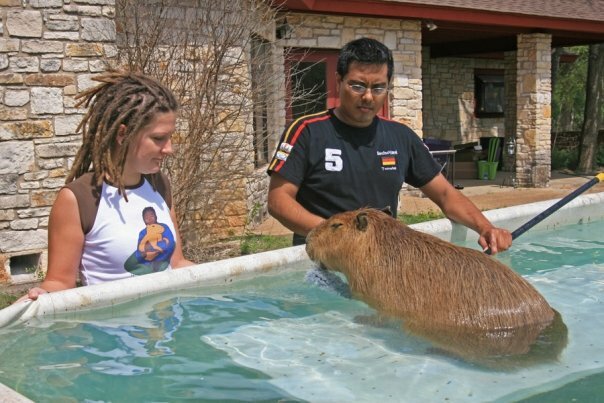 Although I won’t be eating a popsicle or rolling around in a big patch of mud (tempting as that is), I will, in my own way, honor the lives of two very special capybaras who came into my life and touched my heart forever and always. 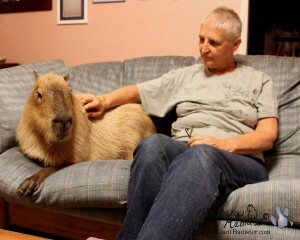 What a great tribute to two very special capybaras. I miss them both and I will be eating a grape popsicle in their honor. Take care Melly. Thank you for the words and pictures. Such sweet boys. 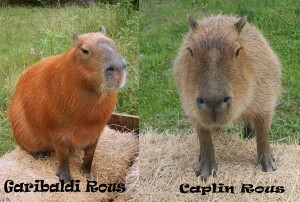 I really had never known what a capybara was until something about Gari was shared to my page. 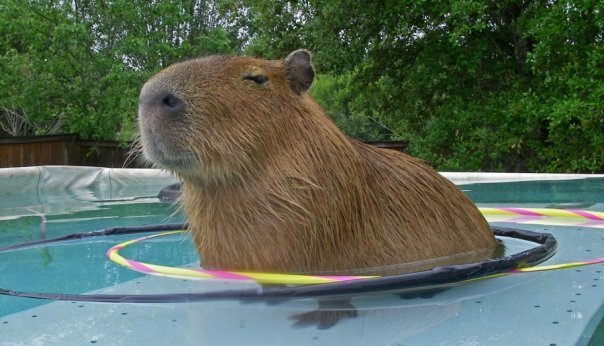 I immediately fell in love and enjoyed checking his page every day to see if there were any new antics. Since then I have become thoroughly captivated by these special beings. I have a yogurt in the fridge! 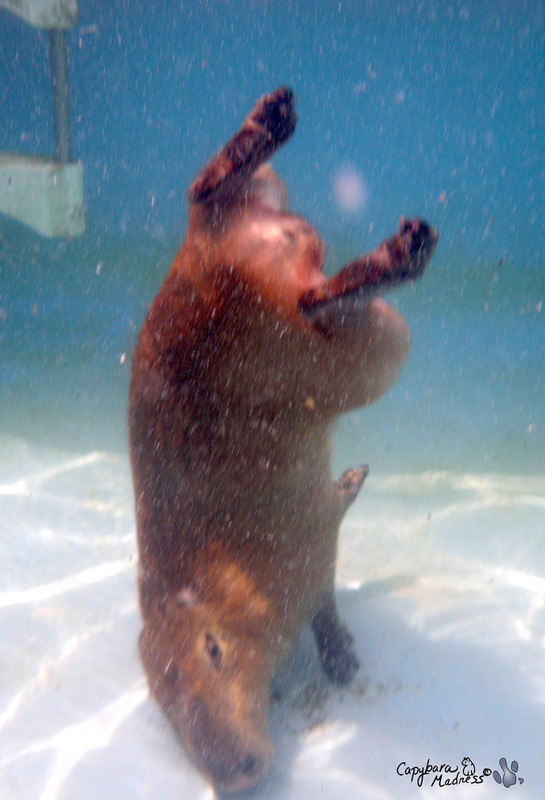 Cheers to these precious critters!